Leveraging on the excellence of the infrastructure we have developed for ourselves, we are able to manufacture these best grade Automatic Boom Barriers. 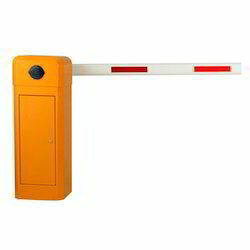 These are widely used on places such as parking lots, check points, community gates and many others where continuous security checking is required. 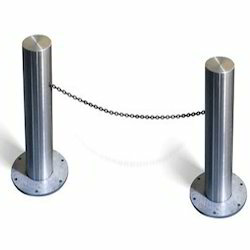 Made available in electronically controlled or manual controlled mechanism, these barriers have been designed to endure various harsh conditions. 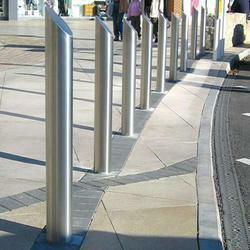 Our company holds immense expertise in the manufacturing and supplying of these excellent quality Steel Bollards. 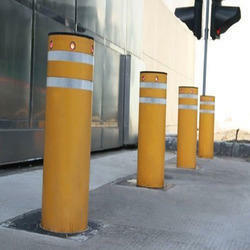 Extensively used in places such as various malls, offices, banks, institutions and commercial establishments, these bollards provide individual protection near busy roads or streets. These are useful for unwanted vehicles to be parked or accidentally run off the road. Used for securing and protecting specific areas from unwanted vehicles from blocking and parking on the premises, the offered range of Hydraulic Bollards has been in wide demand. 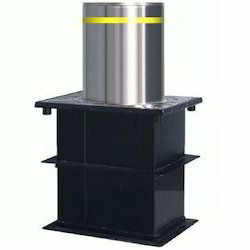 Easily installed along with hydraulic drive unit, these bollards are user friendly control panels. The height of these bollards can be lowered or raised depending up on the need. We have incorporated the best quality raw material in the making of this range. 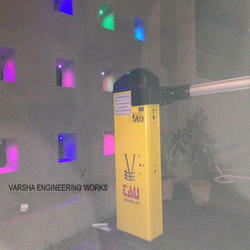 Automatic Bollards available in SS & MS to restrict the entry for vehicles in designated area. Fixed Bollards available in SS & MS to restrict the entry for vehicles in designated area.